Temperatures are still expected to warm the rest of the work week. Afternoon highs by Friday will be near 70 degrees. After Friday, the warm-up will come to a screeching halt. With colder air surging into ArkLaTex, temperatures will actually drop throughout the day on Saturday. Highs on Saturday will be in the 50s and 60s and will be recorded in the morning. Temperatures will drop into the 30s and 40s Saturday afternoon and evening. By Sunday morning, temperatures will be in the teens and 20s. KSLA First Alert Meteorologist James Parish will track the cold blast on FutureTrack in the video below. This strong cold front will also be a rain-maker for the ArkLaTex. A round of rain and few storms will impact the ArkLaTex Friday night into Saturday morning. 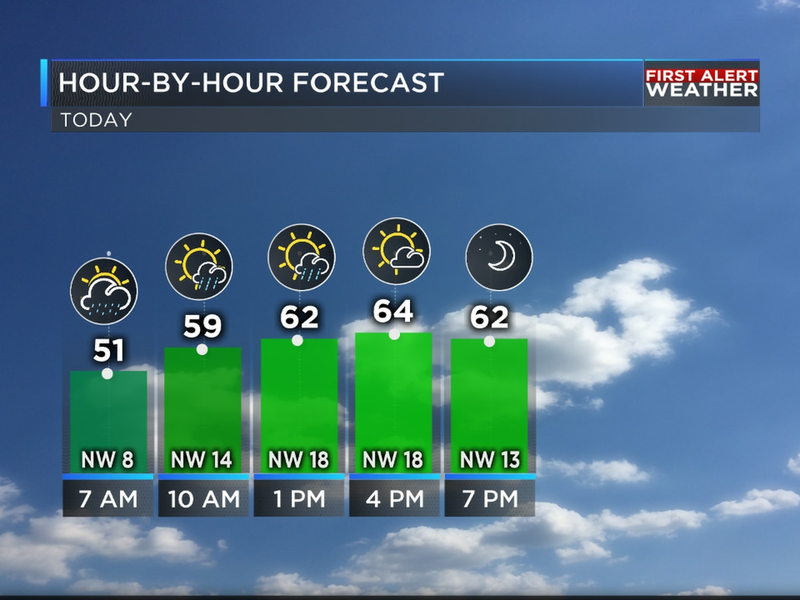 KSLA First Alert Meteorologist James Parish will track the rain on FutureTrack and breakdown the potential for a snowflakes Saturday afternoon and evening in the video below. Right now, the threat of widespread heavy rainfall looks low. Widespread rainfall totals will likely be between 1-2″ of rain. This much rain will likely not cause any additional major flooding problems. However, local swollen rivers and lakes will continue to be monitored. There is the potential for some locally heavy rainfall, however. The latest run of FutureTrack shows the heaviest rain could fall across NW LA and E TX. Widespread rain and a few storms are expected Friday night into Saturday morning. However, widespread severe weather is not expected. The threat of severe weather Friday night into Saturday morning will likely remain low because the amount of instability or fuel in the atmosphere will remain low. There will still potential for scattered storms and an isolated strong storm,or two, though. Our first shot of arctic air will arrive this weekend, and this may not be the only cold blast we see this month. The overall weather patterns favors colder than average conditions through the rest of the month. With a persistent big dip in the jet stream expected to develop over the eastern half of the country multiple cold air intrusions will be possible.